I’ve had a good week on my blog this week. 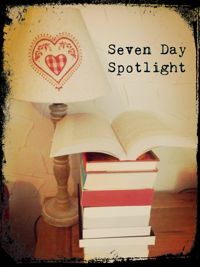 On Monday I posted a lovely guest post by Marilyn Bennett, talking about why she wanted to write her book, Granny with Benefits. I’m running a giveaway for two copies of her ebook (for Apple devices only) so please do go and take a look. I was asked by the fabulous New Books magazine to come up with some Author Meets Reviewer questions for Sarah J Naughton, author of Tattletale. You can read her answers here and also there’s a link to my review. On Thursday evening I went to the launch of Susan Elliot Wright’s new book, What She Lost. My write-up can be found here. And in amidst all that I did actually manage to read and review a book, the brilliant new book by Sanjida Kay, The Stolen Child. Not a great week for acquisitions unfortunately, in that I have acquired quite a few. I blame the Kindle Spring Sale. 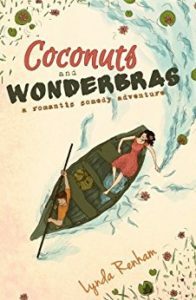 First up, Coconuts and Wonderbras by Lynda Renham. I loved Lynda’s book, Phoebe Smith’s Private Blog and it was free so I couldn’t resist. Literary agent Libby Holmes is desperate for her boyfriend, Toby, to propose to her and will do anything for him and if that means dieting for England over Christmas then she ll have a go. However, when Libby’s boss introduces her to her new client, Alex Bryant, her life is turned upside down. Alex Bryant, ex-SAS officer and British hero, insists Libby accompany him abroad for a book fair. Libby finds herself in the middle of an uprising with only Alex Bryant to protect her, that is, until Toby flies out to win back her affections. Come with Libby on her romantic comedy adventure to see if love blossoms in the warm Cambodian sunshine or if, in the heat of the day, emotions get just too hot to handle. 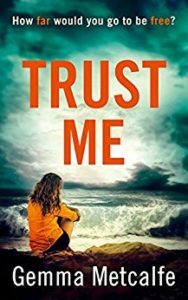 Trust Me by Gemma Metcalfe was a bargain at 99p and after reading Joanne Robertson’s brilliant review on her blog, My Chestnut Reading Tree, I couldn’t resist. One phone call. Two lives. Their darkest secrets. Lana needs to sell a holiday, fast. Stuck in Tenerife, in a dead end job, she never expected a response quite like Liam’s. Thousands of miles away a phone rings. Liam never intended to pick up, he’s too busy choosing the quickest way to die. But at least someone should know the truth before he goes, even if that someone is a stranger. As time runs out both are drawn to the other, expressing thoughts they never imagined they would share. 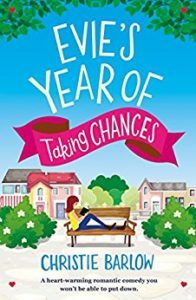 Evie’s Year of Taking Chances by Christie Barlow seems to have been everywhere this week and it was another 99p bargain so again I just couldn’t help myself. It’s Evie’s birthday and the start of a year she’ll never forget. An emotional story of love, friendship and grabbing life by the horns. Evie’s job has always been her safe haven. 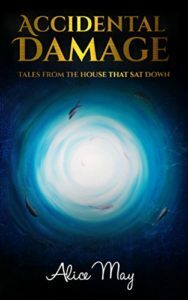 As a librarian in the little town of Becton she loses herself in books – after all it’s far easier to read about other people’s problems than set about solving her own. Then, one birthday, everything is turned upside down. A mysterious parcel containing a beautiful book with a poignant inscription arrives for Evie. It’s the beginning of a new chapter for Evie and she’s inspired to try and find her real mother. Evie’s search leads her to meet handsome author Noah Jones. Charming and intelligent, Noah seems the perfect catch but what Evie doesn’t realise is that he is hiding something – a key to Evie’s past. As Evie gets closer to Noah and discovering her mother, she must take a giant leap of faith. Can she embrace the new and make this her year of taking chances? And if she does, will she get her heart broken? But for the Guinness family a happy ending looks out of reach. Olly and Mae’s marriage is crumbling, their teenage daughter Evie is on a mission to self-destruct and their beloved Pops is dying of cancer. Their once strong family unit is slowly falling apart. But Pops has one final gift to offer his beloved family – a ray of hope to cling to. As his life’s journey draws to a close, he sends his family on an adventure across Europe in a camper van, guided by his letters, his wisdom and his love. 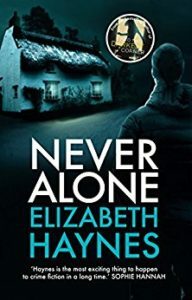 Sarah Carpenter lives in an isolated farmhouse in North Yorkshire and for the first time, after the death of her husband some years ago and her children, Louis and Kitty, leaving for university, she’s living alone. But she doesn’t consider herself lonely. She has two dogs, a wide network of friends and the support of her best friend, Sophie. When an old acquaintance, Aiden Beck, needs somewhere to stay for a while, Sarah’s cottage seems ideal; and renewing her relationship with Aiden gives her a reason to smile again. It’s supposed to be temporary, but not everyone is comfortable with the arrangement: her children are wary of his motives, and Will Brewer, an old friend of her son’s, seems to have taken it upon himself to check up on Sarah at every opportunity. Even Sophie has grown remote and distant. After Sophie disappears, it’s clear she hasn’t been entirely honest with anyone, including Will, who seems more concerned for Sarah’s safety than anyone else. As the weather closes in, events take a dramatic turn and Kitty too goes missing. Suddenly Sarah finds herself in terrible danger, unsure of who she can still trust. But she isn’t facing this alone; she has Aiden, and Aiden offers the protection that Sarah needs. Doesn’t he? How to be Human by Paula Cocozza caught my eye because it’s got a fox in it and they’re one of my favourite animals. Come face to face in an unexpected place, or at an unexpected moment. And he has looked at you, as you have looked at him. As if he has something to tell you, or you have something to tell him. But what if it didn’t stop there? When Mary arrives home from work one day to find a magnificent fox on her lawn – his ears spiked in attention and every hair bristling with his power to surprise – it is only the beginning. He brings gifts (at least, Mary imagines they are gifts), and gradually makes himself at home. And as he listens to Mary, Mary listens back. She begins to hear herself for the first time in years. Her bullish ex-boyfriend, still lurking on the fringes of her life, would be appalled. So would the neighbours with a new baby. They only like wildlife that fits with the decor. But inside Mary a wildness is growing that will not be tamed. In this extraordinary debut, the lines between sanity and safety, obsession and delusion blur, in a thrilling exploration of what makes us human. 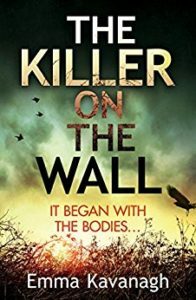 The Killer on the Wall by Emma Kavanagh sounds like a fascinating read. When fifteen-year-old Isla Bell finds three bodies propped against Hadrian’s Wall, her whole world falls apart. In such a close-knit community, everyone knows the victims, and the man who did it. Twenty years on and Isla has dedicated her life to forensic psychology; studying the brains of serial killers, and even coming face to face with the convicted murderer who turned her world upside down. She is safe after all, with him behind bars. Then another body appears against the Wall. As the nightmare returns and the body count rises, everyone in town is a suspect. Who is the Killer on the Wall? If you think the normal school run on a Monday is entertaining you should try doing it from a tent in your back garden surrounded by the jumbled up contents of your entire home. It is vastly more diverting. Our heroine has survived the sudden collapse of her home – or has she? 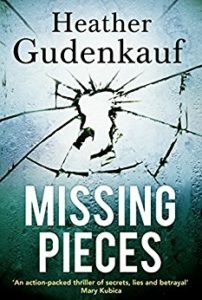 Certain events two and a half years ago led her to deliberately destroy an important piece of herself, hiding away all remaining evidence that it ever existed. What happens when she decides to go looking for it? Does she really deserve to be whole again? Inspired by a true story, this is an account of one woman’s secret guilt and her journey in search of forgiveness! 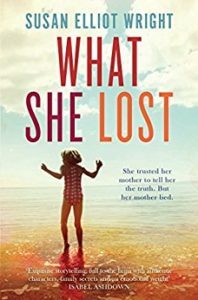 What She Lost by Susan Elliot Wright – I’d have bought this anyway but it was great to get it signed by the author at the launch. Eleanor and her mother Marjorie have always had a difficult relationship and although they’ve tried, they have somehow just failed to connect. Now Marjorie has Alzheimer’s, and as her memory fades, her grip on what she has kept hidden begins to loosen. 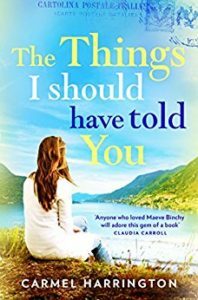 When she calls her daughter to say, ‘There’s something I have to tell you’, Eleanor hopes this will be the moment she learns the truth about the terrible secret that has cast a shadow over both their lives. A story of family and secrets, perfect for fans of Maggie O’Farrell. 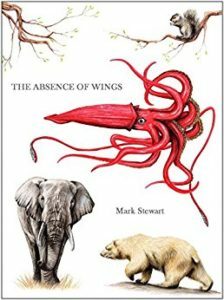 The Absence of Wings by Mark Stewart – this is a book of short stories about animals. I’m a bit worried they might break my heart but the author assures me they won’t although he says I might shed a tear. “The Absence of Wings” is a collection of short stories intended to show the world through the eyes of some of the Earth’s most endangered and persecuted animals. The collection is an ark of sorts, offering a literary refuge for creatures that may one day exist only in story books, fables and myths. These are stories that will change the way you look at the natural world. Sarah Quinlan’s husband, Jack, has been haunted for decades by the untimely death of his mother when he was just a teenager, her body found in the cellar of their family farm, the circumstances a mystery. The case rocked the town where Jack was raised, and for years Jack avoided returning home. But when his beloved aunt Julia is in an accident, hospitalised in a coma, Jack and Sarah are forced to confront the past that they have long evaded. Sarah and Jack are welcomed by the family Jack left behind all those years ago—barely a trace of the wounds that had once devastated them all. But as facts about Julia’s accident begin to surface, Sarah realises that nothing about the Quinlans is what it seems. Caught in a flurry of unanswered questions, Sarah dives deep into the rabbit hole of Jack’s past, but the farther she climbs, the harder it is for her to get out. And soon she is faced with a hard reality she may not be prepared for. 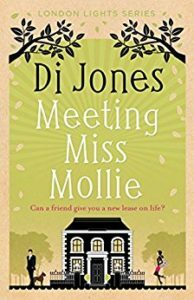 Meeting Miss Mollie by Di Jones was a freebie when I got it. Annabelle is a hard-nosed writer with a sound marriage, a stylish flat, a thriving career at Adorn magazine and a busy social life. She has only one ambition—to be the best-known advice columnist in the UK. 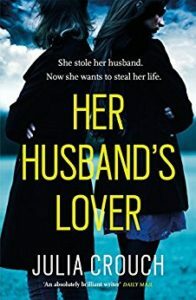 When her world is turned upside down by her husband’s infidelity she strikes out on her own and answers an ad to flat with a jet-setting businessman. As Annabelle begins to settle she sees things in her new house aren’t quite what they seem and her problems mount. Christian is an attractive and wealthy property developer whose life is on track. He owns a luxurious house in an exclusive part of town, travels extensively, and is engaged to his beautiful model girlfriend. But despite this, he knows something is missing from his life. As they get closer, Annabelle and Christian discover much about themselves. Annabelle forges a relationship with the strangest of friends—Mollie, Christian’s dog—who teaches her new habits and values. At the same time Christian realises his girlfriend may not be the woman he really wants. Can Annabelle and Christian overcome the odds and forge a new love? I’d love to hear any thoughts on these books. I shall await it with interest, Jill. I’ve read a fair few of your acquisitions this week and also have a copy of The Killer On The Wall – I’m saving my copy of the Elizabeth Haynes for my (yet unbooked) holiday! Not sure when I will get round to mine, Cleo, but I’m sure I will enjoy it. The Kindle sale is dangerous, Hayley! I’m sure I could have bought more.